Spark plugs are vital to your vehicle’s engine running properly. They provide the spark that ignites air and fuel inside the cylinders and makes the engine turn. Spark plug replacement isn’t something you’ll have to perform very often, but when your vehicle is either running rough or not getting the fuel mileage it used to, foul plugs may be the cause. So how often should you replace your spark plugs and what are some symptoms of bad plugs? Many of today’s cars come equipped with extended-life spark plugs. These plugs are made of rare earth metals and are designed to run up to 100,000 miles. Your plugs may be good for that long but their performance may begin to deteriorate as early as 80,000 miles, as the electrodes wear out from all that use. Most carmakers recommend that you have your spark plugs inspected every 30,000 miles to make sure they’re in good condition. How will you know when it’s time to change your spark plugs? The most obvious indicator will be when your engine begins to run rougher than normal. As the plugs wear out, the ignition inside the cylinder will not be as strong and cause the engine to run unevenly. If your engine has a rough idle, trouble starting, misfires or surges when you slow down, you may be in need of some new plugs. Another symptom of worn spark plugs is high fuel consumption. As your plugs deteriorate, they aren’t able to ignite the fuel and air mixture as efficiently. Fuel economy can go down as much as 30 percent due to incomplete combustion. When you can tell you’re not getting as far on a tank of fuel, it’s probably time to change those plugs out. Poor acceleration is yet another way you can tell if your spark plugs aren’t what they used to be. A solid spark will ignite the fuel inside properly and give the engine the power it needs to get your car moving. 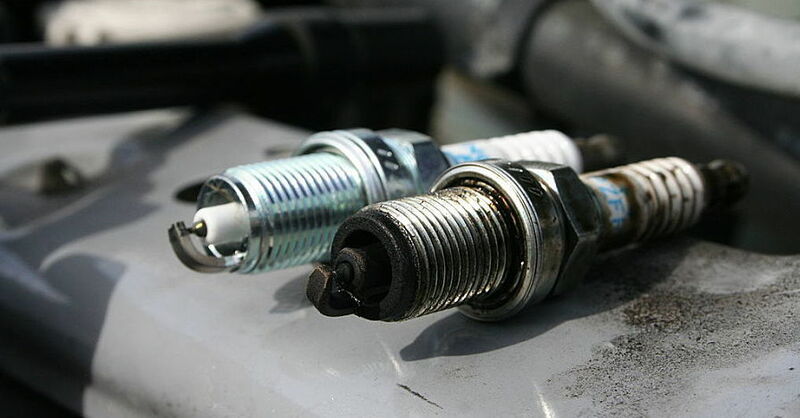 When spark plugs wear down, the spark is much less powerful and therefore your engine will not produce as much power. Worn spark plugs will give your car a sluggish feeling and let you know it’s time for a service. Your vehicle’s spark plugs are an integral part of the engine but they can wear out after extended periods of time. Fresh plugs will not only help your car run smoother but can also improve your fuel mileage as well as power output. For more information on spark plug replacement, chat with a knowledgeable expert at your local NAPA AUTO PARTS store.